I’ve spent the past two weeks working on a redesign for this site. It’s been rebuilt from the ground up, but the basic structure is pretty much the same as before – there’s just not as much duck tape holding it together. The biggest structural change is that the blog no longer occupies the front page. Considering how I’m apparently unable to update it more than once every couple of months, it seemed like the way to go. The portfolio and the themes archive have both been completely redesigned. I have updated the portfolio with some new projects, and added the mandatory geeky 404 page. LFT Etica and FF Tisa Pro have been replaced with the tried and true combination of Myriad Pro and Minion Pro. Adelle is still used for the title. The biggest change, however, has nothing to do with the design of the site. Since the release of Hemingway and Wilson in February this year, the relative amount of visitors with Swedish as their first language has been declining rapidly. 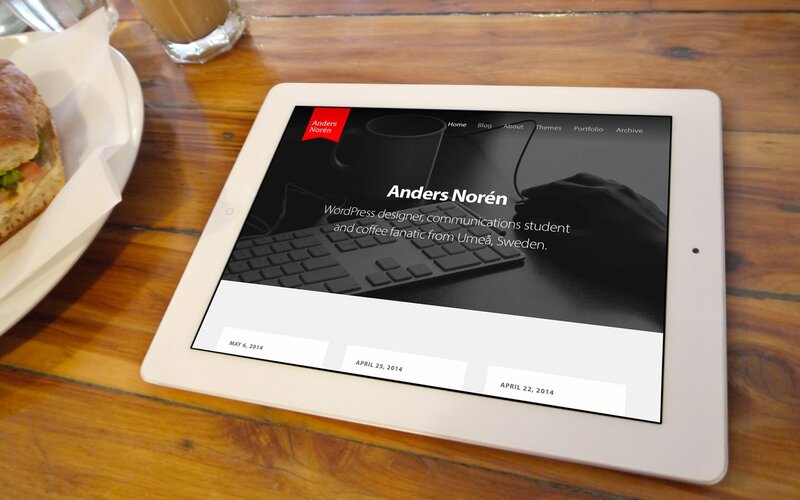 It doesn’t make much sense to spend hours on content that 90 percent of the visitors can’t take part of, so from now on, everything on andersnoren.se will be written in English. I’ve gone back and translated some of the blog posts, but most of the older stuff (February 2014 and back) is still in Swedish. I might get around to translating that as well. Parts of it. Maybe. Feedback is greatly appreciated, as always. Feel free to hit me up on Twitter if you’ve got any comments (or have noticed anything horribly broken). I’ll be tweeting in English from now on as well, so if you’re into web development, tech, games and movies, you might consider following me while you’re at it.